Bill A-4520 exempts rentals in all NJ Shore communities from both State Sales and Occupancy Taxes. What we need now is MORE Co-Sponsors to sign on to this bill. We want to get as many Democratic AND Republican Assembly members as possible to Co-sponsor the bill. 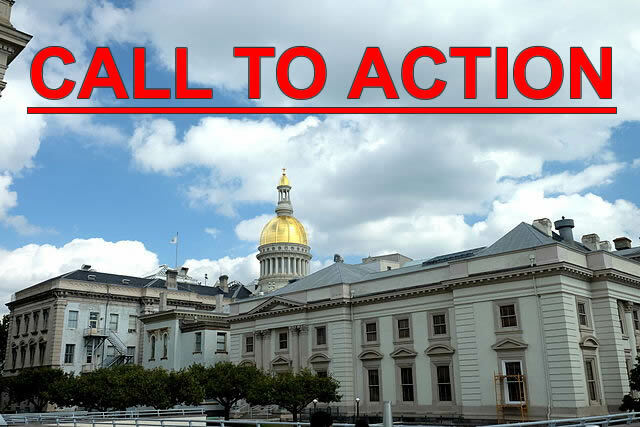 We need to send a message that the people of NJ are behind A-4520. Much like the last round of calls, it won’t take much time, but we need each of you to help so we can keep the momentum going! If you are NOT a NJ resident, please share this message or this Facebook post with anyone you know who is! If you ARE a NJ resident, we need each of you, and each voting member in your household (if possible) to make 2 PHONE CALLS. PLEASE CALL DON’T EMAIL. They get thousands of emails a day, but when you call they have to answer the phone. You most likely won’t get to talk to your legislator on the first call, so leave a message with his staff and ASK FOR A CALL BACK! If you need help with what to say, please feel free to use the following script for Jersey Shore RENTERS. If you are a Shore Owner, please scroll to the bottom for a ‘modified’ script. Assemblyman John McKeon recently introduced bill A-4520 which would waive taxes on transient accommodations in shore counties that were imposed this year. A-4520 corrects this unfortunate, unintended consequence by allowing small time vacation rental owners the opportunity to rent out their properties without imposing an additional tax burden on renters like me. As a resident of your district, I respectfully request that you support A-4520 and sign on as co-sponsor. Assemblyman John McKeon recently introduced bill A-4520 which exempts the Jersey Shore from the State’s Sales & Occupancy taxes. As a resident of your district, I respectfully request that you support A-4520 and sign on as co-sponsor. NOTE: If you cannot call and decide to send an email, please DO NOT cut and paste this ‘script’ word for word. “Form” messages are less effective as hundreds of identical emails diminishes their effect. Please take a moment to ‘tweak” the wording before you send it. Assemblyman John McKeon recently introduced bill A-4520 which would waive taxes on transient accommodations in shore counties that were imposed this year. A-4520 corrects this unfortunate, unintended consequence by allowing for small time vacation rental owners, like me, the opportunity to rent out my properties without imposing additional tax burden on my renters. As a resident of your district, I respectfully request that you support A-4520 and sign on as co-sponsor. Thank you all for your efforts. Together we WILL get this done!